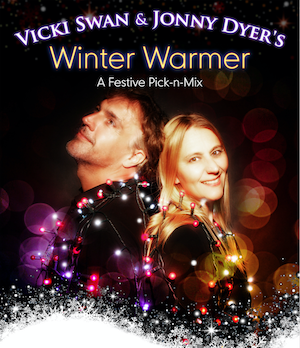 Swan & Dyers Winter Warmer Pick & Mix will appeal to those who associate Christmas with carols, singing, dancing and the joy of being together as family and friends. Vicki & Jonny have created a show that brings together classic Christmas carols, winter stories, Scandinavian Christmas . It is informative, fun and full of chorus songs that you’ll know and stories that you probably won't. Multi-instrumentalists and storytellers of the highest calibre, you have no idea what you're going to see next, but we know you'll love it.